Santa Clarita Valley Station Deputy Kirk Petersen was making a left turn on a green light from southbound Auto Center Drive onto eastbound Magic Mountain Parkway on Saturday at 2 p.m. when he collided with a Lexus driven by a 16-year-old male. The juvenile driver was driving with a male juvenile passenger northbound from the north entrance of the Westfield Valencia Town Center mall and through the intersection. Deputy Petersen received lacerations to his head and possibly a concussion. 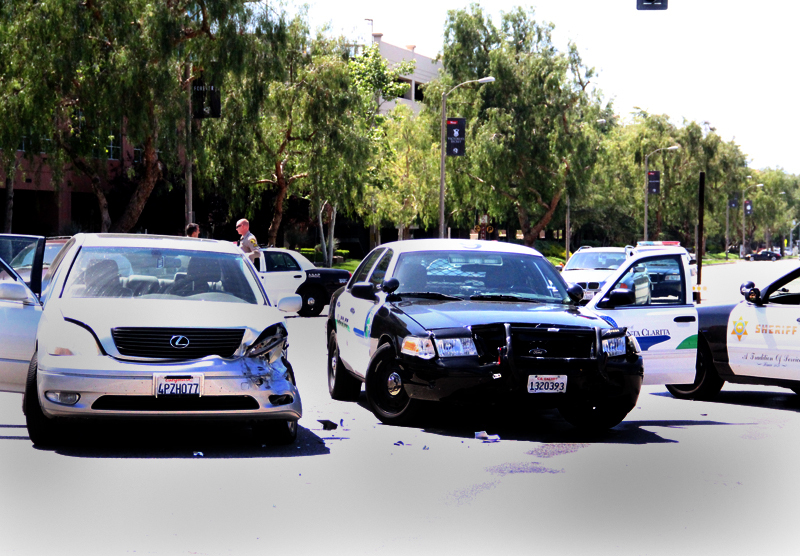 Neither of the parties in the Lexus received any injuries. There was moderate to major front end damage to the radio car and the left front end of the Lexus received moderate damage. Deputy Petersen was transported to Henry Mayo Memorial Hospital for treatment and observation.